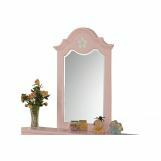 Pretty Floresville Pink Nightstand with Basket will add a light touch to the youth bedroom in your home. 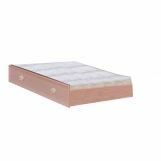 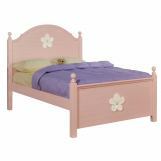 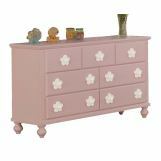 It features gorgeous pink finish with white daisy carving on the drawer, while beautiful turned ball feet create a "girly" look. 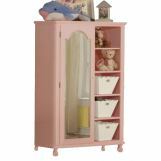 It has a drawer and additional open storage space with basket for larger belongings. 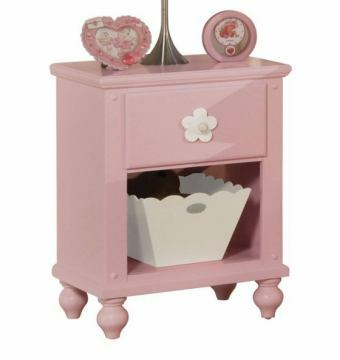 Both you and your child will love this piece in your home.